There is a widespread myth that small-scale and informal gold mining is the most lucrative livelihood for local and migrant communities in the Peruvian Amazon, and illegal mining is increasing every day. While many people are trying to make a living from mining, those "informal mining" operations are destroying large swaths of the region's rainforest, polluting rivers, and threatening the region's biodiversity. 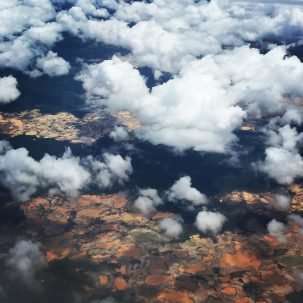 A recent study from Columbia University brings hopeful news, finding that more sustainable activities—including Brazil nut harvesting and fish farming—can actually outpace the financial gains of gold mining and serve as a solution to long-term forest conservation in the Amazon. The research was published in July in Sustainability. "There is this common assumption that gold mining is gold mining is gold mining, and that it's really potentially lucrative," said Joshua Fisher, lead author of the study and director of the Advanced Consortium for Cooperation, Conflict and Complexity (AC4) at Columbia's Earth Institute. The study is among the first to assess whether informal gold mining is indeed a better livelihood than forest-friendly activities for Peruvians who live in Madre de Dios, one of the most biodiverse regions of the world. Fisher and his colleagues—Poonam Arora, an AC4 visiting scholar and associate professor from Manhattan College, and Sophia Rhee, an AC4 researcher and M.S. student at Oxford—worked with students from Manhattan College to pull data from the Peruvian government, NGOs, scholarly literature, and market analyses in order to estimate the total value of the informal gold mining market and the number of miners active in the region. This allowed the authors to estimate a miner's average annual income. 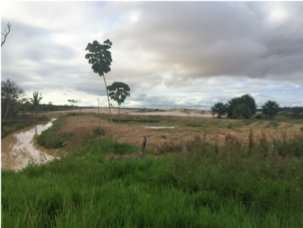 They also cross-checked these numbers with government stakeholders and mining experts, and followed a similar process, including interviews with local farmers, for estimating the livelihoods of fish farmers and Brazil nut harvesters. These livelihoods are considered much more forest-friendly because unlike mining, aquaculture doesn't require clearcutting, and Brazil nut harvesting is generally only possible in ecologically healthy and intact rainforests. "All things being equal, forest-friendly livelihoods for the average Peruvian living in this region are as lucrative or more lucrative than the informal mining," said Fisher. "Moreover, with some small policy investments and some small interventions, the returns for forest-friendly livelihoods are potentially way more lucrative for the average person." Similarly, local Brazil nut harvesters could magnify their financial gains if they could process the nuts locally rather than shipping them elsewhere for these services. Brazil nut harvesting has long been an important source of livelihood in the region, which is one of the world's largest Brazil nut growing areas, but it lacks facilities for shelling the nuts and resources for securing organic certification. "There's a missed opportunity there," said Fisher. "Right now, that value-add is captured in either Lima or export countries." These findings suggest achievable pathways for shifting the informal economy of the Madre de Dios toward more forest-friendly practices and livelihoods. According to Fisher, this area of the Amazon is critical to the biodiversity resources of the planet. There are more unique species of flora and fauna in this region than nearly anywhere else on Earth. The area also helps to clean water and the air and is home to some of the last tribes of uncontacted people on the planet. "The forest is hugely important culturally, environmentally, and economically," said Fisher. "But that's all threatened by the proliferation of illegal and informal gold mining." The study shows that the region can benefit environmentally, socially, and individually through small and tailored investments in forest-friendly activities. The next step is to take the study's findings and work with local stakeholders to explore whether and how to pursue these interventions to enhance livelihoods from forest-friendly activities. "It's a great starting point to fill in important knowledge gaps, so that we can hopefully strengthen the foundation for forest-friendly livelihoods," said Fisher.